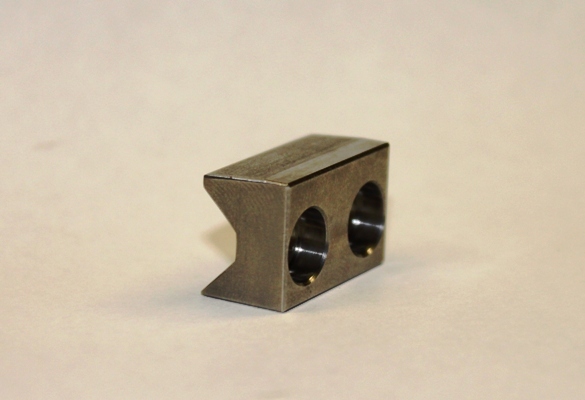 Tactical Solutions V-Block for the Ruger� 10/22� eliminates the ever so common barrel droop. Ruger 10/22�s common problem of barrel droop ( due to the slip in barrel design) is easily solved with this stainless steel CNC machined V-Block. Tactical Solutions V-Block is designed to apply constant and uniform pressure keeping your barrel nice and tight thus improving accuracy and eliminating barrel droop. Easy and quick to install. Utilizes your existing screws.